The basic plot from Amazon: Ghost. Lu. Patina. Sunny. Four kids from wildly different backgrounds with personalities that are explosive when they clash. But they are also four kids chosen for an elite middle school track team—a team that could qualify them for the Junior Olympics if they can get their acts together. They all have a lot to lose, but they also have a lot to prove, not only to each other, but to themselves. 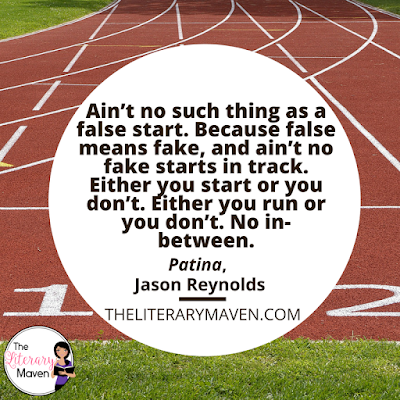 Why I liked it: Patina is the second installment in Jason Reynold's Track series. 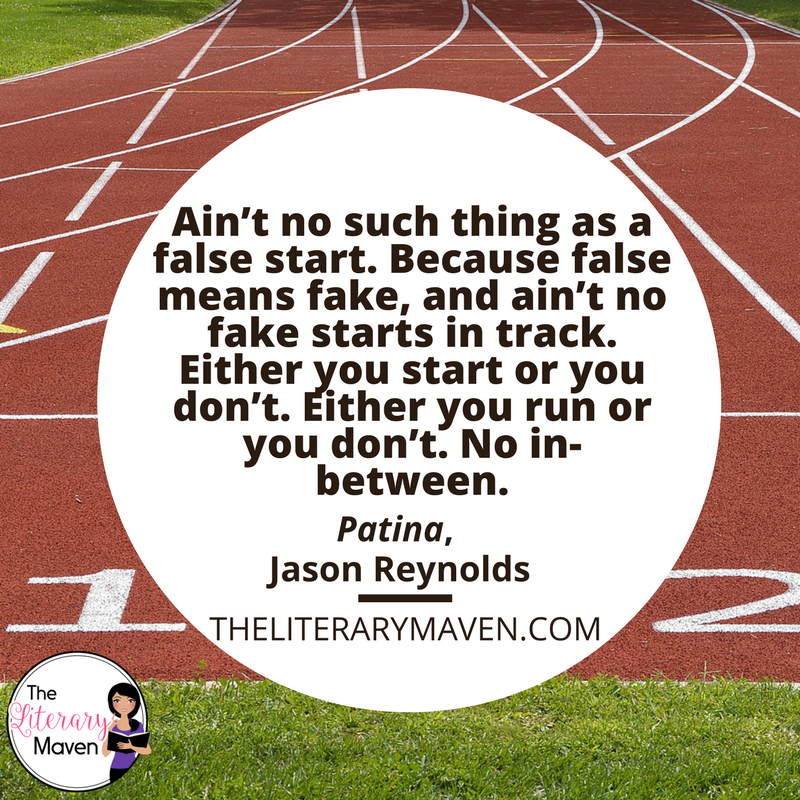 I loved the first one, Ghost, and was thrilled that Patina was just as good. Patina, who goes by Patty, is on the same track team as Castle, known as Ghost. Patina picks up where Ghost left off, but the focus is now on Patty and her life so Ghost becomes a minor character. Like Ghost, Patty faces challenges at home and running track is her escape. Her mother suffers from diabetes so Patty and her younger sister live with their aunt and uncle, who are an interracial race couple. Patty is also struggling to make friends at her new school where many of the students are well off. I loved Patty's fierce devotion to her family and her refusal to be anyone but herself. Classroom application: This series, appropriate for middle school and up, is definitely one to recommend to your reluctant readers, especially female students who may be struggling with their confidence as Patty would serve as a strong role model. The novel could also be a springboard into discussions about class and race as Patty struggles with judgement about having a white "mother" and not relating to the wealthier students at her school. 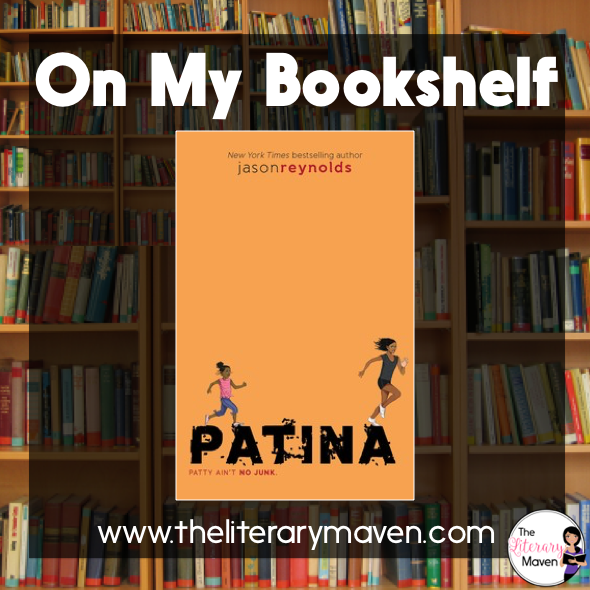 If you are interested in purchasing a copy of Patina for yourself, you can find it on Amazon here.